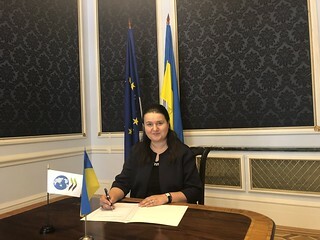 23/07/2018 – Today, Ukraine signed the Multilateral Convention to Implement Tax Treaty Related Measures to Prevent Base Erosion and Profit Shifting (the Convention). Ukraine becomes the 83rd jurisdiction to join the Convention, which now covers over 1,400 bilateral tax treaties. Journalists wishing to obtain further information are invited to contact Pascal Saint-Amans (+33 1 45 24 91 08), Director of the Centre for Tax Policy and Administration (CTP) or the CTP Communications team.